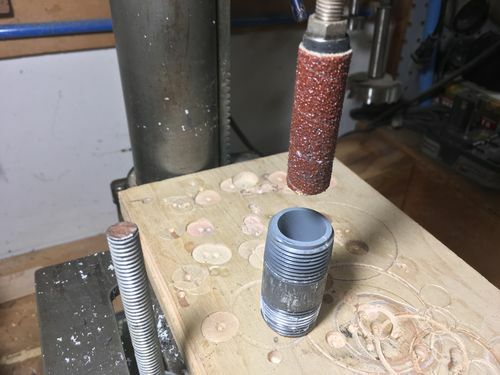 Making a 3/4" bushing for my router....Way outside the box! 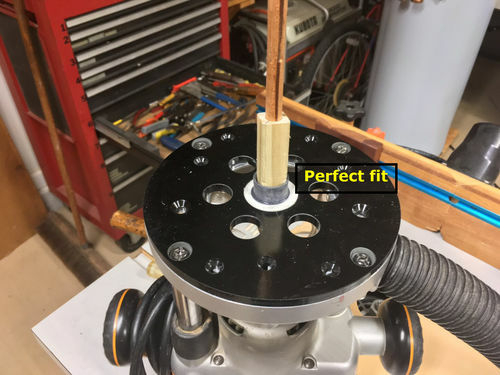 I’ve been waiting and waiting for a guide bushing set that has a bushing to fit a 3/4” bit through it. It’s been 14 days now and it still hasn’t showed up yet. The other day I was straining my brain a bit while watching TV .. well the TV was on but I wasn’t paying much attention to it. 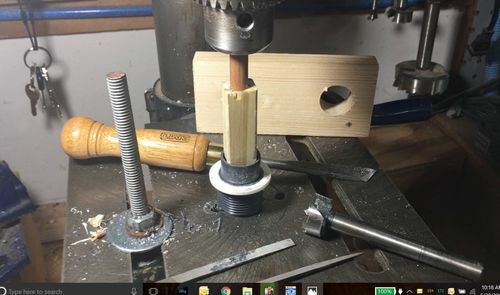 Because I was thinking about how I could make a bushing for my router to fit a 3/4” bit. I came up with this idea. I only took a few photos of what I did so you’ll have to fill in the gaps!
. 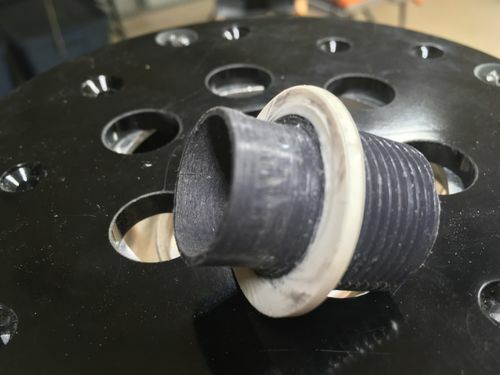 This guide bushing was made with a Male 3/4” PVC cap. This one is made with ABS and PVC nuts. 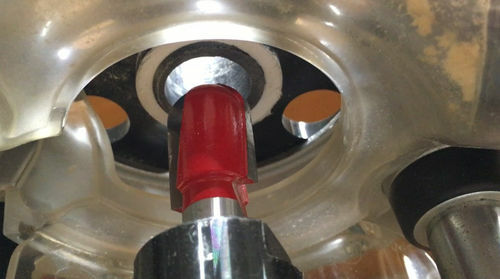 The white fittings (nuts) are made with PVC. I’ve got a Woodcraft full set that I have been trying to sell and nobody is biting. Glad you got yours worked out. That’s what I love seen people thinking out of the box and on the fly… Excellent thinking and execution buddy !!!! Thanks Papadan, I have a brass set from Harbor Fright and it didn’t come with one large enough for a 3/4” bit. That s what I love seen people thinking out of the box and on the fly… Excellent thinking and execution buddy !!!! Thanks Stelios, Sometimes I get an idea and it’s like I can’t wait to see if I can make it work! Now watch the one I ordered show up tomorrow! LOL! very ingenious Tony great job. Thanks Jim! The white PVC ID threaded part I cut to use for the nuts fit snugly to the router base without needing any work. 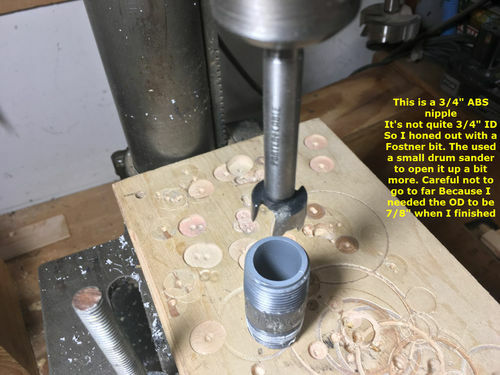 Makes me want a lathe! LOL! Awesome thinking! YES, ”Out of the Box” thinking for sure! Thanks Joe! I guess where there’s a will there’s a way! 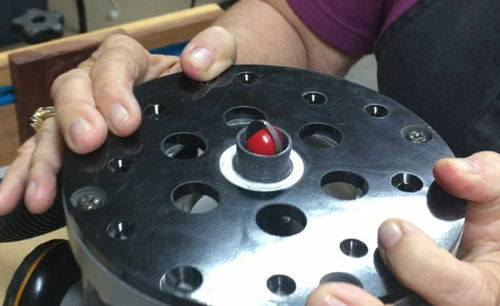 But you better make sure you have a thinking Cap! LOL! I guess you could call me a Hacker! But please don’t call me a plumber! LOL! I see the heat out there is keeping you thinking. I gonna have to come out there soon so more of that can rub off on me. I know the feeling when you order something that you really need fast and it take the longest to get there. 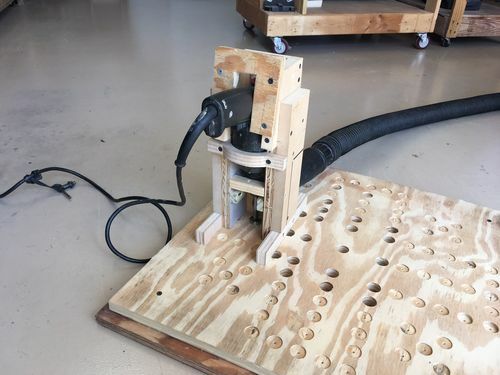 Why didn’t you use the drill press to drill the holes? 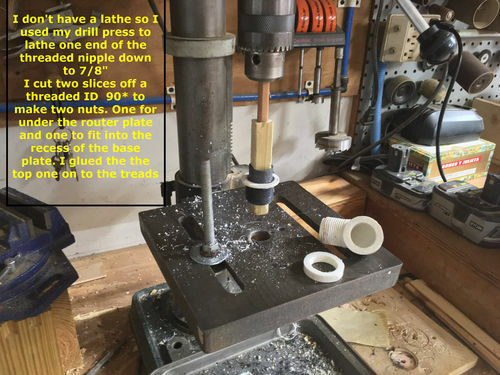 If you get that lathe you could make those a lot easier. LOL. 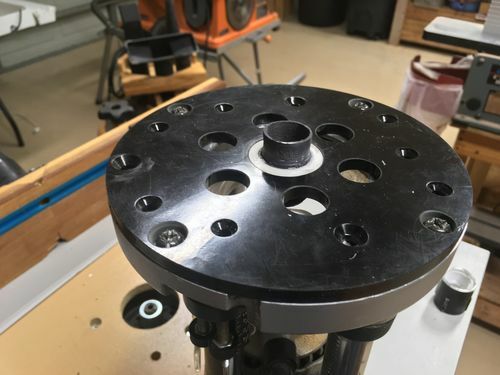 One question … you didn’t say or show how you secured the guide bushing to the router base plate … or did you just use a press fit? I’m guessing you used some plastic PVC threads to secure it. That’s the way to get it done in a pinch . 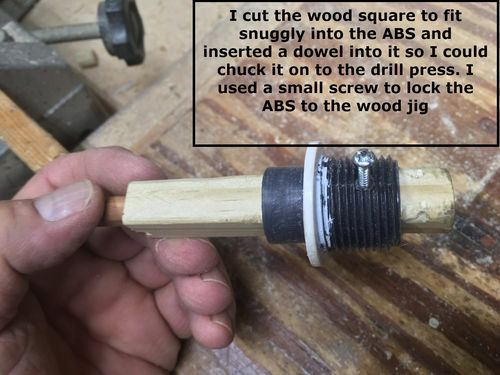 ABS and PVC are much easier to work with then metal for us woodworkers . Third picture from the bottom.